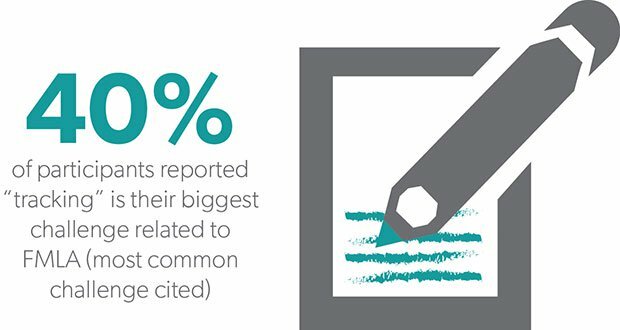 Organizations could cite a countless number of reasons that they find FMLA administration challenging, but according to a 2013 ERC survey, top among these reasons is “tracking”. According to the 2013 ERC FMLA Practices Survey, “tracking” is the number one challenge for 40% of the participants, up 12% since the survey was last published in 2011. Other somewhat less common challenges include overall compliance (23%), determining overall costs associated with FMLA absences (17%) and determining what constitutes a serious health condition (12%). Given the difficulties employers face with tracking FMLA, the fact that their methods for doing so continue to vary from organization to organization is largely unsurprising. For example, over half of the respondents (56%) reported using a rolling 12 month period measured forward, but nearly one-third use a rolling 12 month period measured backward and 10% us a calendar method. The reported methods used for tracking, e.g. timesheets, excel, payroll, and outsourcing to a third party were similarly diverse and even more variation in the tracking methods was made apparent when organizations were asked what types of benefits they run concurrently with FMLA. To further complicate matters, organizations also differed on whether paid leave and PTO/vacation time are “required” or simply “allowed” to be taken concurrently while on FMLA. At the most granular level, organizations reported a wide variety of time-off increments and request timeframes required for different types of FMLA requests, ranging from a few minutes for catastrophic intermittent leave to months in cases of pregnancy. 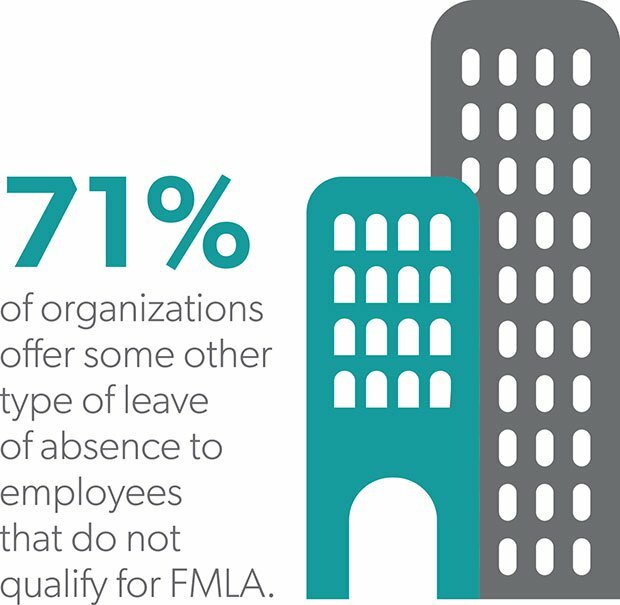 Despite the variations and complexities outlined above, just under half (48%) of organizations believe they are successfully capturing all the situations at their organizations that should be designated as FMLA. In addition, the vast majority of employers surveyed are either very satisfied (10%), satisfied (42%) or somewhat satisfied (38%) with their current FMLA administration process. Overall, it appears that while tracking FMLA remains a common pain point for many local organizations, they are largely able to work through these challenges using the systems they have in place in a less than ideal, but at least somewhat satisfactory manner. The survey reports Northeast Ohio organizations' FMLA practices trends in FMLA administration, certification and notice, usage, and challenges.